The Second Megaways game from Blueprint is out, and this time it’s a genie you have to look out for to get to the big wins. 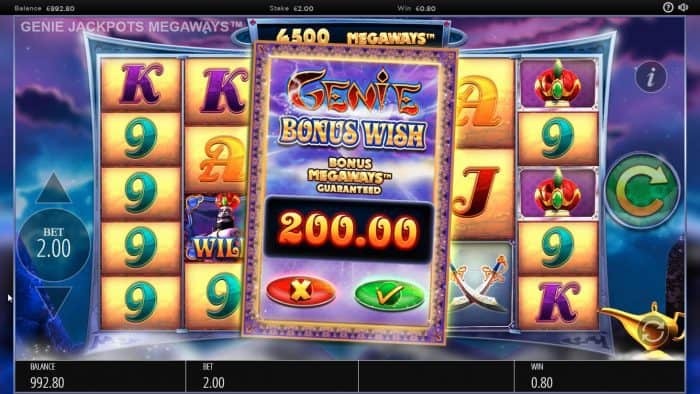 With the big time gaming original mechanic, the Genie Jackpots game comes with up to 15625 ways to win. 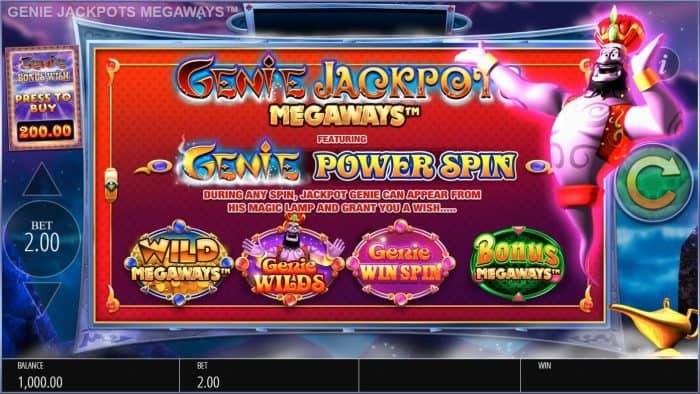 In addition, Genie Jackpots comes with a score of different wild symbols, and you can purchase your bonus rounds for 100x bet as well. The rtp is set at 96.52, and you can expect a pretty highly volatile game. 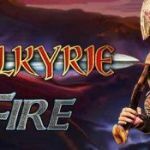 Want to try out the game for real money? Check out leovegas now! It’s great to see Blueprint has utilized a bit more of their own creativity in Genie Jackpots, as the first Megaways title they came out with was scarily close to one of BTG’s more popular titles. With the addition of the the buy a bonus feature, we’re sure it will show up in most sg enabled casinos. You get taken straight to the eastern planes when you open Genie jackpots, and the first thing you see is hte Genie himself! His wishes plays an important part when you activate the feature spin, and he even comes in to play during the base game every now and then. During the base game you will find the wilds, and the scatter symbols. To trigger the feature spins, you have to land at least three Genie Jackpots Scatter Symbols anywhere on the reels. 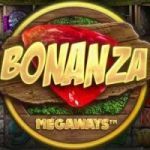 - Or you can purchase the bonus trigger for 100x your wager, with the chance of winning extra spins. 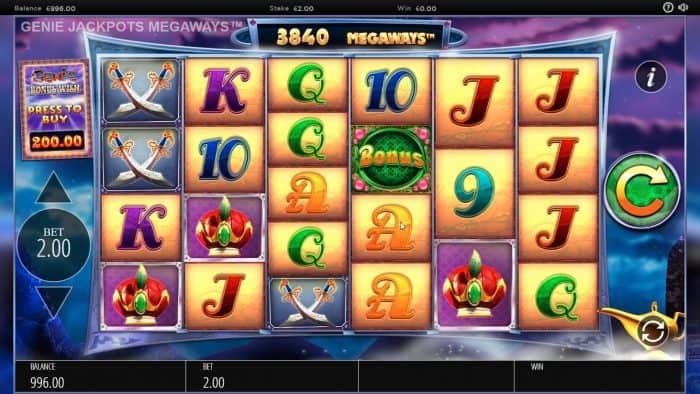 Get more reels on the reels with maximum megaways! Genie Wilds can cover a reel, up to 5 locations! Genie grants random symbols or wilds to guarantee a win. Extra bonus symbols during the free spins! You’ll be glad to find the potential of unlimited multipliers during free-spins, and for every spin you do, the multiplier is raised by one! Genie Jackpots is a great game. The megaways mechanics are receiving justice, and you can bet a lot of people will love it. Is it a bit childish for a game with such high wagering potential? Well, that’s not for us to decide. It would be nice to collect something to lower the buy-a bonus feature though. - As it can be a drag to trigger the feature, and with a 100x purchase, why not add a coin or similar (which has been done by BTG is their titles) to get just a bit closer before investing. What are your thoughts on this new MegaWays Slot? Share them in our forums!